I am totally vain about my hair, so this seems like an appropriate pic for a post about narcissism. Photo by Sam Supowit. Every time there's a conversation about audiences, whether it's yesterday's topic of community support, or a "question of the day" about whether you prefer a big theater audience vs. a small restaurant crowd, or dancing for fellow dancers vs. the general public, there's always at least one person who has to mention how they don't need an audience, they dance for themselves. Maybe I'm a little defensive (I often am), but it always comes across as so condemning of the rest of us. Oh, look at the narcissistic dancers who need someone to watch them dance! I have a couple of things to say about this. First, in all areas of our lives we need to stop tearing others down to build ourselves up. Just because someone likes something, doesn't mean they need it. Just because you don't need or want something that others seem to want doesn't mean that you're somehow a better, more pure person. We're all pretty much okay, unless we're not, and if we're not, our lack of okayness is going to manifest in hurting people, not in wanting someone to watch us dance. No, I don't need an audience. In fact, for the first few years that I danced, I thought I'd never want to perform. It seemed like too much stress, too much hassle, and shy early-20s me sure wasn't comfortable with being in the spotlight! Obviously I eventually got bit by the performance bug and I never looked back. But I still love to practice choreographies in class, and I love to put on music and jam around the house in my PJs. I don't need someone to watch me when I'm dancing, and in fact, oftentimes I need to be unobserved, so I can experiment without being self-conscious. But do I want an audience? Oh goodness yes! If I spend hours and hours over a course of weeks or months practicing a troupe choreography or a structured improv solo, if I've stabbed myself a hundred times sewing a new costume, if I've primped and preened and made myself up, if I've given up yet another weekend night at home with my husband and pets, then YES, I want to have an audience. And I don't feel bad saying so. Anyone who performs wants an audience. Without an audience, live theaters shut down, bands can't go on tour, movies fail to get sequels and TV shows get canceled. As soon as you decide to make that switch from hobbyist to performer, you are putting yourself in the position to rely on audiences to a certain degree. Dancers want audiences, and audiences want dancers. If none of us ever said "Ok, I want to perform now" then no one would ever witness our art. Performing is not simply an act of vanity, it's also an outreach. We're taking our art to people who have never seen it before, or to people who have never done it this way. 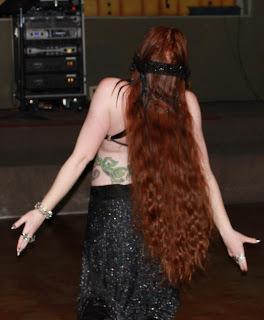 As a tribal fusion bellydancer, I love the reactions from audiences who have previously only seen Egyptian bellydance in restaurants before. 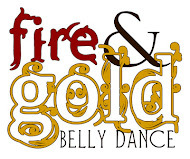 I like opening their eyes to the diversity of bellydance. I love to answer their questions, and tell them where they can go in town to see even more styles of dance. So if you don't need an audience, that's fine. That's a valid approach to take towards dance. Not everyone needs or wants to perform, for some it is a hobby or a fun social activity, and I fully support that. I just ask that you, in return, fully support me and my fellow dancers who thrive in the spotlight (even if it's a little bitty spotlight). May I ask, gently and without insult, a question? Was the person who said "I don't need an audience" being snarky with their reply? Because, honestly, when I took bellydance classes, it was for me, alone. I was asked several times by my teacher to join their performances, and I *did* learn the choreography, but I had no desire to dance in front of an audience. I supported the others who chose to, but I didn't want it for myself. I'm sorry if the person (or persons) who said that to/in front of you were being rude, supercilious or plain ol' snarky but some of us really *don't* want to dance for an audience. Only ourselves (or our mates). Of course you can ask a question :) And I take your point. Over the internet, it is always hard to tell if someone is genuinely being snarky or if they meant no offense. I even admitted in my post that I could be needlessly defensive. And as I said in my closing paragraph, I am aware of and supportive of those dancers who DON'T want to perform for an audience, ever. Both approaches to dance are totally valid and cool in my book. I just think that saying "I don't NEED an audience" comes across as more snarky than saying "I like dancing just for myself" or "I've chosen not to perform, I prefer to dance just for funsies." When you say I don't NEED something, you're suggesting that the other people who want or like it do NEED it, when it's really just a matter of personal preference. Those of us who enjoy dancing for an audience will not shrivel up and die if we go six months without a performance opportunity... but we may get a little sad! I hope that clarifies my opinion :) Thank you for sharing yours! Ah, yes. As m'sister would say, I'm pickin' up what'cher layin' down! Words do, indeed, have meaning and the way they're used can, indeed, convey an understanding spirit or "snark". Thank you. Cool, I'm glad we both understand each other now :) I appreciate you bringing it up, it's nice to have a little chatter here in the comments section! I have a dance friend that has taken lessons for almost 10 years, can sew the crap out of a costume but won't touch the stage. But if you are a dancer, you want her in the audience because she gives nothing but love.